LUKE Bishop is a tattooist with a difference. 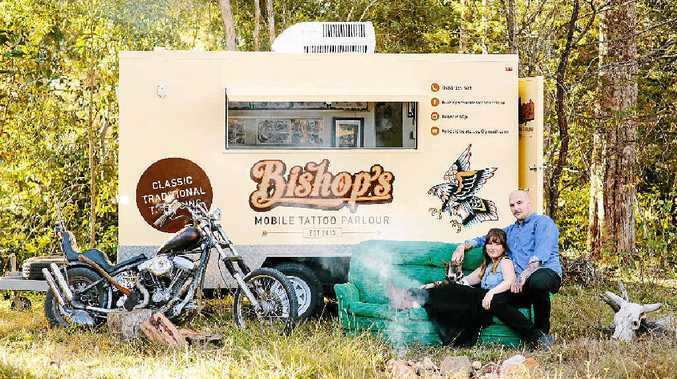 The entrepreneurial business man has worked in different tattoo parlours in Gympie and Brisbane for several years, but when his boss set up shop in a vintage caravan and took it to events, Luke decided it was an idea he would like to also take on. His concept came to fruition in October last year and he began taking his own purpose-built, mobile tattoo parlour on the road. Then, four months ago, he made the big leap, leaving the tattoo shop to work full-time for himself in the mobile parlour. "It's been great," Luke said. "I started off going to some mining towns quite a bit, and I've been doing a lot of events too." His wife Laura takes the bookings and when he has about two weeks worth, he heads for that town - the main one being Moranbah. "I'm booked out weeks in advance, so it's ticking along nicely," he said. 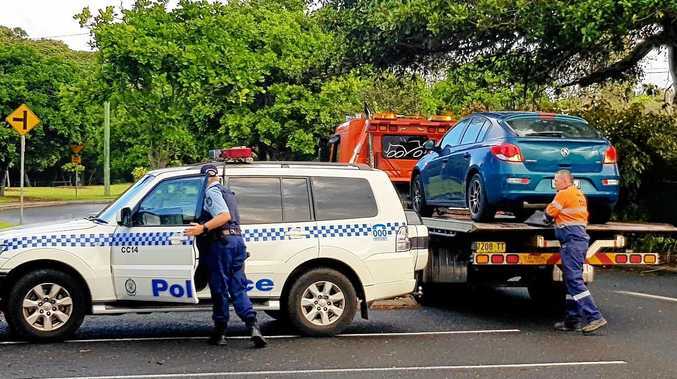 Events he has been to recently include the Dirty Love Kustom Cycle Show in Brisbane, a Gympie Motorcycle Club meet and he was at the recent Gympie Regional Gallery Suitcase Market. However, the most interesting event he attended recently was a Brisbane wedding where, instead of favours, the bride and groom gave each guest (who wanted it of course) a tattoo. "I did up a sheet of designs representing love, such as hearts and roses, and guests could choose what they wanted. The original designs on that sheet were given to the bride and groom," Luke said. "It was unusual but it has created a lot of interest." Luke, 28, and Laura, 25, are pleased they have made the shift into their own business and believe it can only get better. He has a licence to tattoo in Queensland only, but reckons there is more than enough clients out there to keep them in business for many years to come. Anyone who wished to book a tattoo session with Luke or a consultation with Laura can phone 0488 939 988 and Bishop's Mobile Tattoo Parlour will be at your service.